The Political Education Committee (PEC) met on Thursday to discuss the upcoming primary election for Madison’s Mayor on February 19, 2019. PEC members discussed building on the success of our midterm canvassing and voter turnout efforts by endorsing a candidate in the mayoral race. By doing so, we think that the TAA will be able to build its ability to build partnerships and political power at the local level. At the upcoming General Membership Meeting (February 4, 6-7:30 pm), PEC will ask members to consider endorsing a candidate for mayor and we encourage you to review the responses the candidates submitted to our questionnaire on the PEC voter guide. 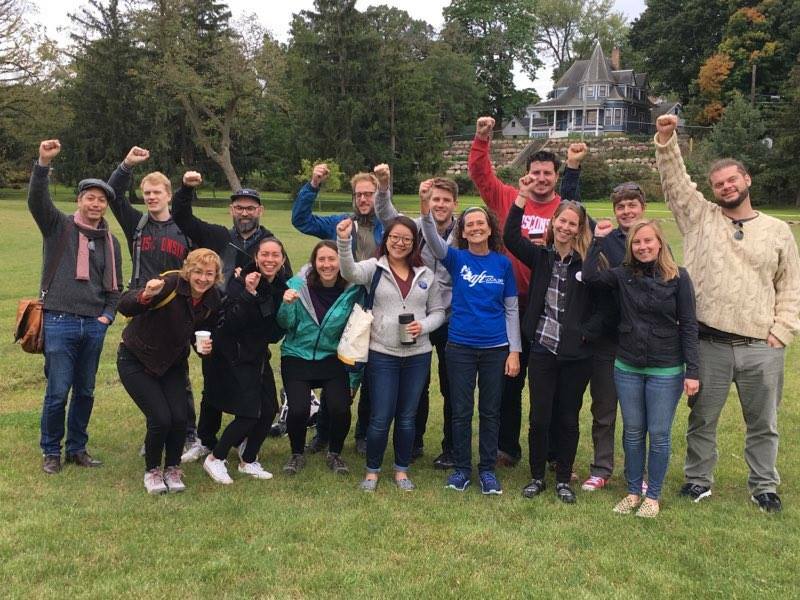 Beyond the primaries, PEC will be working to set legislative priorities for the officials we helped to elect in the midterms and to build the TAA’s political power through strengthening our relationship with organizers throughout our community.